Hovhannes Teqgyozyan (1983), Arm. Հովհաննես Թեքգյոզյան, Rus. The author of books „The Wooden Shirt” (Փայտե շապիկ, 2003), „The Glass Sun” (Ապակու արև) and „Bisexual Theatre” (Երկսեռ թատրոն, 2009) belongs to the younger writers generation. Being a teacher at the State Theater and Movie College also works in the interactive theater „Forum”. (1). In 2012 was awarded as the best online dramaturge by the First Armenian Theater Portal (2). Recent work: „The Running City” (Փախչող քաղաքը, 2012) (3). "The Running City" is a “virtual-cinematographic-novel”, an absurd and touching story of two friends who live in a running city, a place where everything, including buildings and people, is running and slipping away. On this site you can see illustrations for Hovhannes Teqgyozyan's book "The Runnig city"
Hovhannes Teqgyozyan is a writer that touches sensitive themes that are not easily picked and discussed by people. He chooses ones that are controversial and taboo in Armenia. Most of them reflect on socio-cultural differences and intolerance toward them, such as sexuality, homosexuality, suicide, and drug addiction. Some of them are filled with politics, such as oligarchy and corruption. Orange Book Prize 2012” awards ceremony took place on the evening of February 20 during which the contest results were finalized and the names of the winners announced. 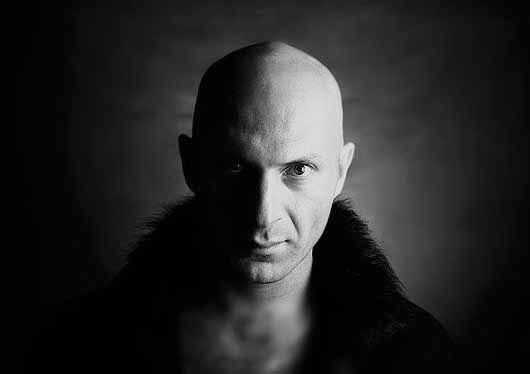 Hovhannes Teqgyozyan, with his “Skin Ache”, was announced the winner in the category Novel. Here you can read The City, Running Away by Hovhannes Teqgyozyan, translated by Anush Isayan. Hovhannes Teqgyozyan is primarily a theater actor, but he also played in films Yndhatvats Mankutyun (2013) and I Hate the Story of Romeo & Juliet (2004). Here is his IMDb page and on youtube you can watch "I Hate the Story of Romeo & Juliet" with English subtitles. On the World Theater Day, several important personas of Armenian theater, including Hovhannes Teqgyozyan, met with journalists and discussed issues concerning theater. This novel is a modern story… More exactly, “Skin Pain” is an anti-novel, which presents the various pieces of the same story, from a different vantage point, from the eyes of different characters, with different conceptions of reality. “Skin Pain” anti-novel has the goal of documenting reality. But the Yerevanian documentariness is observed from different vantage points; at the same time from within, mainly indulging the close up. In this video Hovhannes Teqgyozyan talks about himself,his favorite books. Hovhannes also talks about what his books are usually about and what he would like them to look like. Here you can read a piece by Hovhannes Tekgyozyan translated to english. This work was dedicated to Irene Gyulnazarian. Hovhannes Tekgyozyan’s novel, The Fleeting City has finally been translated to Turkish and released on 24th February this year by Ayrinti publishing house. Because of this, Hovhannes Tekgyozyan and Armine Anda , whose book The Inhabitants of Ankimyur will soon be published in Turkey as well, were invited to Ahmed Hamdi Tanpinar festival in Istanbul that took place in may. It is the first time when Armenian writers are participating. Here is the official site of festival, where you can find more about authors and the festival itself.